Can be based on time, mileage, or odometer. 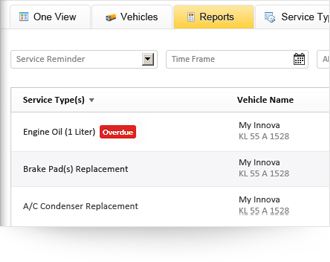 Set service notification alerts for your vehicles based on time passed or miles accumulated. 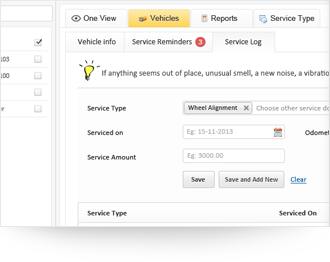 You choose how notifications are generated: want an update a month before scheduled service or every 1000 miles? With AVLView, it’s easy. 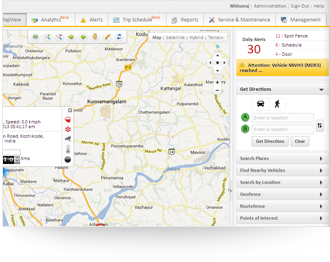 Get detailed reports for all completed maintenances. Information on all conducted maintenances is stored in service history for future reference. 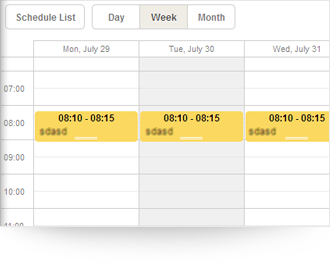 An e-log of all your completed services lets you know exactly what was completed when.